…swinging and hitting the ball…. ….back to the middle of the fairway. You’ve just hit a shot any golf pro would be proud of! Your playing partners are in shock because they’re so used to seeing you hit a weak fade/slice. You repeat hitting powerful draws on almost every full shot you have. 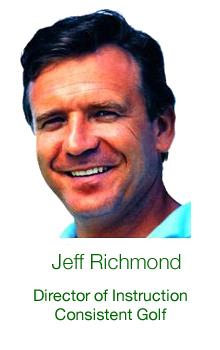 My name is Jeff Richmond. I’m the Director of Instruction for Consistent Golf, and I’ve put together a simple 17 Day, step-by-step plan which you can follow to help you…. Hit Consistent, Powerful, Draws, Just Like A Pro….Adding At Least 17 Accurate Yards To Your Shots – Guaranteed. Because in 1981 Golf Digest did a test into how much further a draw goes than a fade, and they found that a draw travels 17 yards further. But 1981 was a long time ago…surely that doesn’t apply today with all the modern equipment, does it? Here is what Tiger Woods had to say, after outdriving Bubba Watson by 20 yards on the 16th hole on Friday at the 2012 U.S. Open…. Was it ﻿enjoyable﻿ to be about 20 yards ﻿past﻿ Bubba on 16 today? TIGER WOODS: The tee shot on 16, it’s obviously it’s easier for me to hit the ball further because I’m turning it and I’m working it with some kind of top spin, a little draw. And I hammered it out there, but Bubba’s playing a big cut. He teed off in the middle of the tee box. He didn’t go to the right and hit a straight ball slice or straight ball/cut. He went to the middle part of the tee box and shaped it more. So he burned a little bit of distance off of that, and just tried to get the ball in play. Bubba can afford to lose 20 yards over someone that hit’s a draw, because he hits it over 300 yards with a big cut. You on the other hand can’t afford to lose 20 yards on every shot. So it’s critical you learn to hit consistent draws….NOW! Because every day you don’t learn how to do this, means you miss out on more distance, lower scores, increased confidence and ultimately…more enjoyment. But if you were shown EVERYTHING needed to hit a consistent, powerful draw then you could do it FAST – Correct?! 1. You need to setup for a draw. 2. You need to approach each shot from the inside. 3. You need to contact the ball with a slightly closed clubface. 4. You need to have equipment that encourages a draw. The reason you’ve tried to hit consistent draws, and failed so many times is because you’ve only ever been given a FRACTION of what you need. And with so many tips out there giving conflicting advice… it’s no wonder golfers are confused, and end up going around in circles. And it’s because of this that I put together a comprehensive, 17 day, step-by-step plan to help golfers once and for all, learn to hit consistent, powerful and accurate draws… just like a pro. “This system has given me an extra 15 to 20 yards on my drives. I am also now more consistent. But the best thing is that the right side of the course is not one I dread anymore. Before this system my ball would go both to the right and left of the fairway. Now I’ve taken the right side out of play which is awesome and has given me a lot more confidence. and when you get this ﻿program﻿, you'll﻿.﻿..
You’ll save time, money and the frustration of trying to put other pieces of information together into a detailed plan because… it’s already done for you and guaranteed to work! Gained at least 30 yards with this system! The single most powerful way to grip the club, so you stop your slice FAST and hit the ball straight, long and consistent like a pro. Get my amazingly simple 30 SECOND GRIP TEST… and discover whether you’re holding the club with your left hand in a way that will encourage a draw. Pass the test and you’re on your way to longer, straighter shots. Fail the test and sadly, you will be doomed to a golfing life of slicing IF you don’t change your grip to pass the test. Did you know… if your golf grips (the rubber things on your golf clubs) are a certain size it will be almost IMPOSSIBLE to fix your slice? Don’t worry… I’ll give you a QUICK and SIMPLE test you can perform to discover whether your grips are the right size. If they’re not, you could forever be “a slicer”. Should you use an Interlocking or Overlap grip to help you fix your slice? The answer will shock you AND if you’re using the wrong one of these grips it will be next to impossible for you to hit powerful, professional looking draws. The secret place in your stance where you need to position the golf ball….helping you hit straighter, longer shots, and enjoy the feeling of seeing the ball curve from right to left, like the top golfers do. Did you know, there’s a way to position your front foot that will encourage a professional draw? It’s true…and without knowing WHAT that position is, you could forever be making a slice your default shot (find out the correct feet positioning on page 32). A special trick to test how far you’re standing away from the ball. Then you can program yourself to stand a specific distance from the ball, which will help you to hit powerful draws in record time. My secret method for aligning, so you can experience the thrill of hitting straighter shots almost immediately. On Day 5 you’ll get the proven complete setup needed to fix your slice in the fastest possible time. You’ll know ALL the important elements of the setup you need to change, to turn your weak slice into a powerful draw in record time. All of the daily instructions AND pictures have been converted, just for you! No more trying to convert right handed instructions to left handed. That’s tough, confusing and slows down your improvement progress. I’ve done all the conversion for you so you can make improvements fast, so you hit the ball better, quicker than you ever thought possible. You get 3 tried and tested drills that will almost force you to… take the club away correctly, so that your golf swing gets off to the start needed to fix your slice. You’ll be amazed at how quickly your shots start going straighter and longer as a result of doing these simple drills. Plus, you get instant feedback with these drills, so you know whether you’re doing them correctly. Plus…you can do all of the 3 drills in the comfort of your home. You’ll get a simple, yet very effective, way to feel and groove getting the club into the correct position when the club is parallel with the ground, just after you’ve completed the take-away. Without getting into this correct position you’ll always struggle and be frustrated with your slice getting you into trouble. A deadly mistake golfers make when turning their shoulders, which causes a slice to be basically the ONLY type of shot they CAN hit. But you’ll discover how to groove the correct shoulder motion, so that a powerful, professional looking draw is guaranteed. You get my secret method I use to teach golfers the correct swing plane needed to fix a slice for good. A tried, true and tested method for fixing your over the top swing problem, that is causing you to start the ball to the left of your target. Once you do this very strange, but very effective drill (that you’ve never seen before), you’ll be able to start the ball to the right of your target and get it drawing back like a pro. You get the simplest and most effective method, to teach yourself (while sitting down!) the release needed to get more power in your shots – not to mention more accuracy. You get the single, most powerful way to get your hands more active near impact so you can turn the ball over right to left with ease. Finally…you’ll get to experience what the pro’s feel every time they hit the ball. Find out one of the best drills to learn the correct, perfectly timed release through impact, so your shots fly longer, straighter and with less effort. My secret method — that you won’t see anywhere else — for teaching golfers how to attack the ball from the inside, and powerfully release the clubface through impact…so the ball starts out to the right of the target, and gently turns back just like clockwork. A proven drill that will force you to use your wrists correctly, so you hit powerful draws in record time. Did you know…the movement your right shoulder makes on the downswing will largely dictate whether you can ever hit consistent, powerful draws or not? It’s true….and that’s why on Day 14 of this program you get a simple, yet powerful drill (that you can do in the comfort of your home) to learn…how to move your right shoulder correctly, so you can hit powerful draws with machine like precision. One simple drill, that will give you immediate feedback, whether you’ve completed what is necessary to fix your slice for good. If you fail this drill I give you the specific drills you need to work on so the next time you’ll pass. And if you pass the drill you’ll be swinging from the inside, and putting powerful draw spin on the ball — so you hit longer, straighter shots, with more consistency than you’ve ever dreamed possible. Discover the shocking truth about your golf clubs, which means you can do everything physically perfectly and STILL slice the ball. That’s why on Day 16 of this program, you’ll be let in on the secrets of your equipment that you may need to change, if you passed the Day 15 test and still can’t hit consistent draws. Finally on Day 17, you’ll learn how to setup to the ball so you can hit the shape of shot YOU want, at will. Whether you want to hit a draw, hook or even a fade…you’ll be in control of the ball and be able to work your ball around the course like the pro’s do, giving you the ball control you’ve always dreamed of. Getting this program and starting to do what is necessary to hit consistent, powerful draws…in just 15 minutes from now. Then in just 17 days from now, you’ll be hitting your drives consistently with a powerful, professional looking draw…gaining you not only the respect of your playing partners, but adding at least 17 yards to your shots. How Good Are You Going To Feel When You’re Doing That? How much easier are you going to find golf when you can step up on any tee, confident that you’re going to hit a consistent, accurate and powerful draw? I’m sure it does. And you can start to learn to hit consistent, professional draws in less than 5 minutes from now. But it’s taken me years of pain staking trial and error, to figure out the correct order needed to help ANY golfer learn to hit consistent draws fast. And if you came to see me to learn the stuff I teach in this program, it would cost you $75 for a half an hour lesson so I could teach you what you must do each day. I would start by demonstrating what you need to work on each day, and then I would watch you do it for 15 minutes. So if you were to come to me IN PERSON for this 17 day program, it would cost you $1275. But because this program is in digital format — that you can download at anytime obviously I am able to offer it to you much cheaper than that. But even though it’s worth more than the price of a flash new driver, e.g. $399.99, I’m not going to charge you that amount for it. Yes! You can hit consistent, powerful and professional draws for just $57 $37. You're Probably Wondering "Why is This So Cheap?" ….help millions of golfers all over the world to stop slicing, and instead hit professional draws just like a pro — adding at least 17 yards to their drives. I know how heart breaking it is to try one thing after another and see no results! So I don’t want price to be a barrier for any golfer who is serious about hitting consistent, powerful draws. But be warned — this is just an introductory price…the price will go up in the future to reflect the true market value. BUT right now if you click here quickly, you can get this for just $57 $37. If you aren’t hitting the ball longer and straighter after completing this program… or you’re not happy with it for any reason….just let me know and I’ll refund 100% of your purchase, no questions asked….anytime within 60 days of your purchase today. Look, I’m taking all the risk…and all of the responsibility for you, so…you’re free to focus on hitting consistent powerful draws, and as a result adding at least 17 yards to your drives in less than 17 days. Hit Professional, Consistent Draws for Just $57 $37! You’re not going to hit consistent, professional and powerful draws doing what you’ve tried in the past. Instead, you’ve got to find out EXACTLY what you must do that WILL help you hit consistent, powerful draws…NOW! That’s what this Pro Draw System will do for you. And it’s impossible to fail with this system….because no matter what, after completing it you will be hitting the ball longer and straighter or— you get your money back. At last, here’s a golf program that doesn’t require you to waste your time, trying one thing after another in your quest for longer drives. Now you can just follow my simple daily drills and exercises, and reap the rewards out on the golf course. …getting compliments from your playing partners on the great looking shape (i.e. a draw) you’re hitting the ball with…. 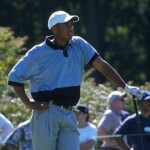 Going To Change With Your Golf Game? You’ll still be hitting the ball with the same old fade/slice. And you’ll always be at least 17 yards shorter than you should be. Listen. It doesn’t have to be like this. You deserve to hit shots with a draw, just like the pros do. And this is your opportunity to do this, right here…right now. It’s easy to make excuses, but deep down you and I both know that you really want this. You deserve to hit draws like a pro for a measly $57 $37. And the alternative of going around in circles trying to hit the ball straighter doesn’t have to be an option for you anymore. You can now hit consistent draws, adding at least 17 yards to your shots in 17 days or less. So the right time is NOW. Let’s get you drawing the ball like a pro in just 17 days. 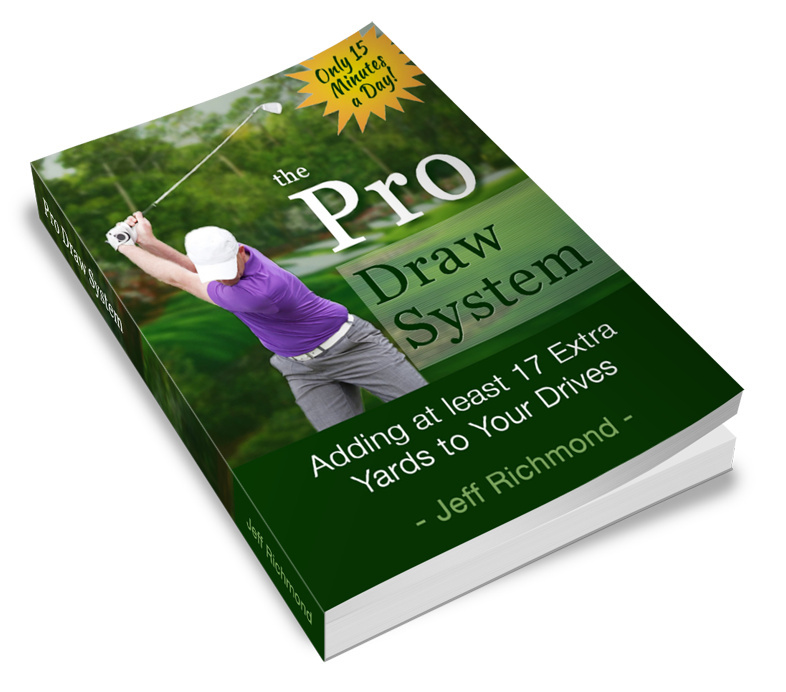 The Pro Draw System for Just $57 $37! When you click the ‘Add To Cart’ button now you’ll be taken to Clickbank’s secure payment page where you can pay for this. After Clickbank has processed your payment, then click the ‘Return to Merchant’ link and you’ll be taken to a very special page, where you can immediately download The Pro Draw System. So go ahead….click the ‘Add to Cart’ button above, to place your order and begin to add yards to your drives, and I’ll speak to you again in just a few minutes. P.S. Drawing the ball consistently, and adding 17 yards to your shots in 17 days is 100% guaranteed. So to start learning this right now simply, click the ‘Add to Cart’ button below and let’s do this!